Hi, I am interested in your 1963 GMC Pickup listed on Autotrader for $6,495. I'd like to get more information about this vehicle and confirm its availability. For sale is a 1963 GMC 3/4 ton Fleetside Truck, California built in Oakland, CA. Solid body and frame, rust free. Engine has been swapped for an early 70's Chevy 350 small block, currently configured for automatic not manual drive. Engine runs and idles great, very little work to be done there. Truck has a new alternator, radiator, brake master cylinder with newly bled lines, fuel pump and fuel filter. Brake lines have a leak and need some work, steering column is a little loose and the truck needs a new interior. 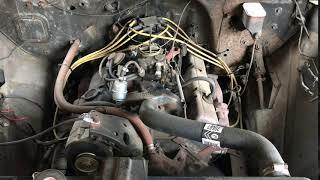 Check out the video of the engine idling. Email me with any questions.